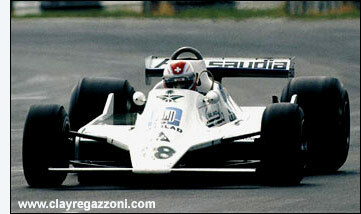 The sad news from Italy today, December 15, is that Clay Regazzoni has died in a road accident, aged 67. He apparently collided head on with a truck on the A1 Motorway near Parma, while driving a Chrysler Voyager. 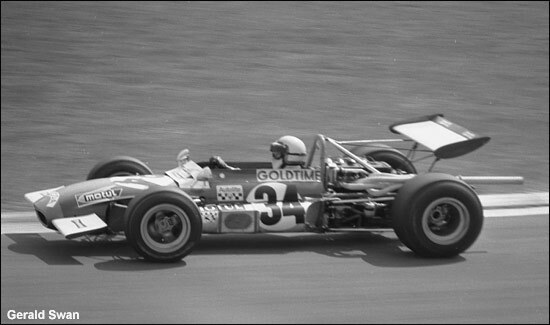 Gianclaudio Regazzoni had been confined to a wheelchair since an horrific accident in 1980, when the brake pedal snapped on his Ensign during the U.S. Formula 1 Grand Prix at Long Beach. The courageous Swiss nevertheless continued racing in such challenging events as the Monte Carlo Rally and the Dakar. He also operated a rally raid team, and is pictured on the right in a humble VW, in the Fun Cup event at Spa in 2004. The man from Lugano, whom no one ever seemed to call by his full christian name, wanted to return to GT racing in 1996, but the FIA denied him a competition licence. As a driver, and later as a role model for handicapped people around the world, he refused to be slowed down by whatever adversity life threw at him. Now a cruel fate has reminded us that even the seemingly indestructible are merely mortal. Clay Regazzoni was one of those drivers who personified the role of a racing driver: the bushy moustache, the devil may care approach, the flair, the charisma, the speed – and the name. 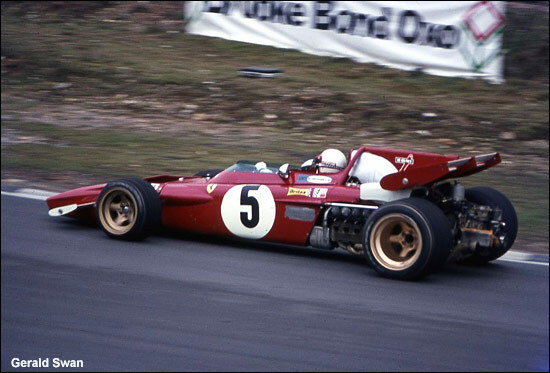 His career was never routine: from F2 Champion in a Tecno (at Crystal Palace in 1970, above), to F1 in 1970, alongside Jacky Ickx – eventually returning to Ferrari to partner Niki Lauda. Then one last great year with Frank Williams, a year (’79) when Alan Jones should have taken the first Williams F1 win, but good old Rega took it, at Silverstone (right) – and the place was full of joyful fans of the great man. His first F1 win was an absolute classic – in front of adoring Italians, at Monza, in 1970. But what a sad weekend that was. Between his two spells at Ferrari, it needed Mike Hailwood to rescue him from the inferno that was his BRM, at Kyalami in 1973. Poor old Mike the Bike didn’t survive much longer – and like Regazzoni, he died on a public road, also in collision with a truck. 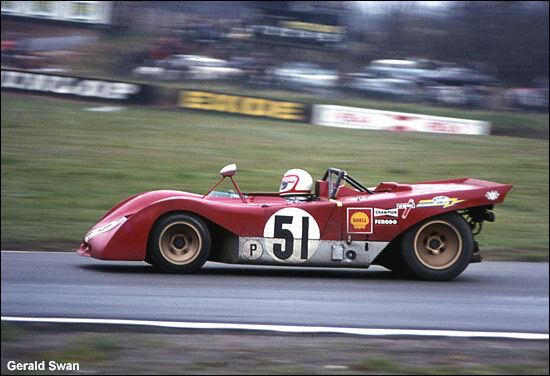 I’ll remember Clay for his exploits in the Ferrari 312Ps, notably at Brands in 1971, when his visor flew off, but he completed his stint, despite the air flow hitting him full in the eyes. His visor is definitely in place in the first of Gerald Swan's images - but probably not in the second. 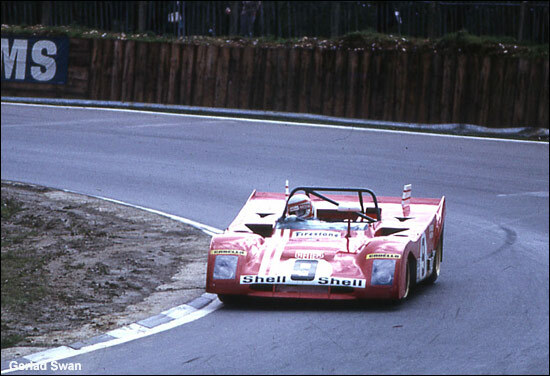 Below is Clay in the 1972 1000 Kms at Brands Hatch, where he partnered Brian Redman, to fifth place. Given a chance with decent machinery, he always fought back and raced at the front: this man was a true hero in every sense of the word – and nearly a Formula 1 World Champion in 1974. He apparently drove from London to Silverstone at record speed along the M1 one British Grand Prix week in the ‘70s – because that was Clay… reckless old Clay. Perhaps he was just out of luck today, near Parma, just as Hailwood was near his home. Farewell, old hero. You captured the imagination of many. 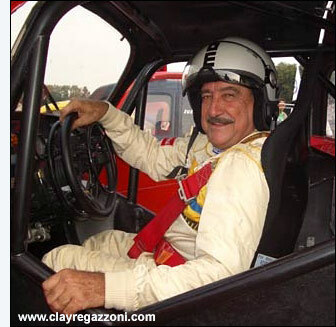 www.clayregazzoni.com - a very, very good website. 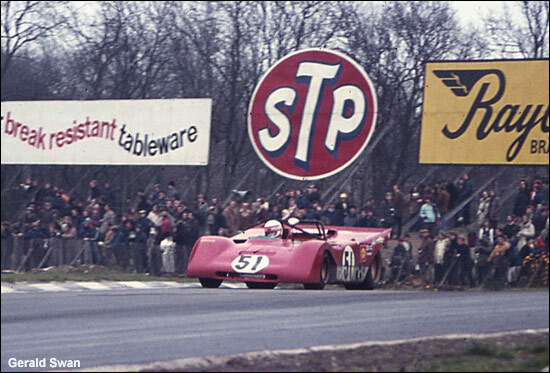 With thanks to Gerald Swan for the use of the images from Crystal Palace and Brands Hatch.